Are you looking to squeeze some wider wheels and tires under your Nissan 240SX? 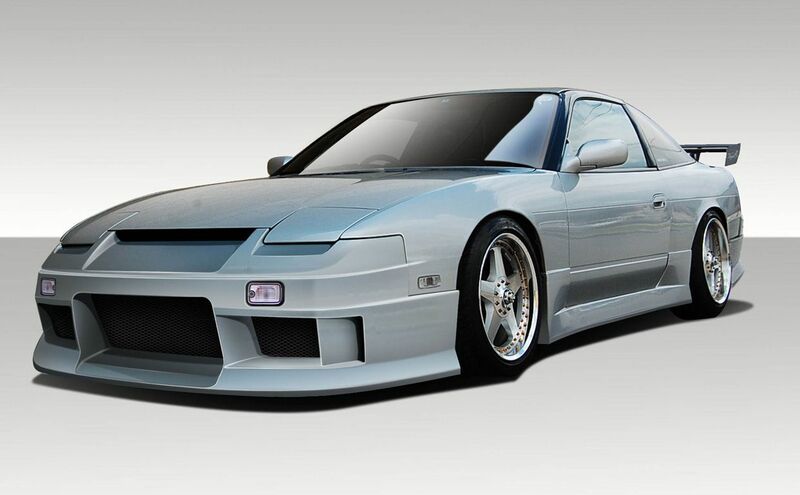 Check out our 240SX fender flares and over fender kits. These fender flares extend the wheel clearance and allows you to fit wheels that won’t fit under the stock sheet metal fenders. One of the most common modifications to 240SX’s in recent years has been the popularity of fender flare body kits. Additionally when you make the vehicle wider the stance and performance are both improved. The S13 240SX was offered in both coupe and hatchback models from 1989-1994. We offer fender flares and over fender options for both body styles. Check out our listings below to see if you like any of the flares and over fenders we offer. Additionally we also sell full front fenders for the S13 240SX. 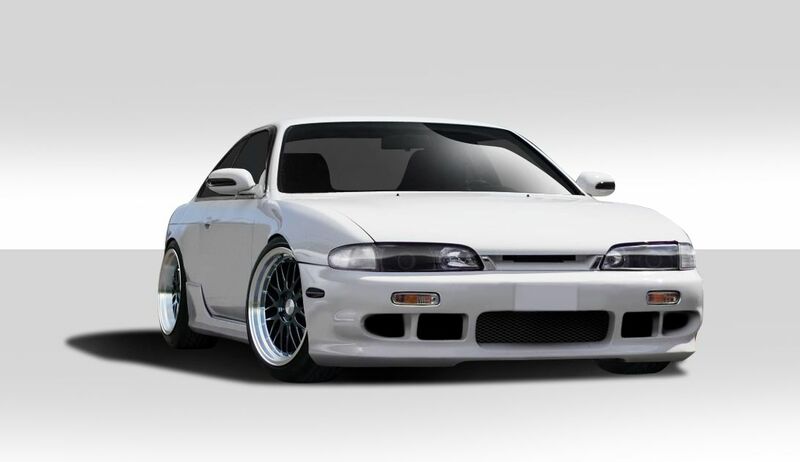 The S14 model 240SX ran from 1995-1998 and only came in coupe configuration. We offer both rear over fenders that extend the full quarter panel out as well as rounded traditional style flares. Make sure to check out the ultra popular retro styled Rocket Bunny kit we offer for the S14! Looking to shave some weight off your 240SX and look good doing it? 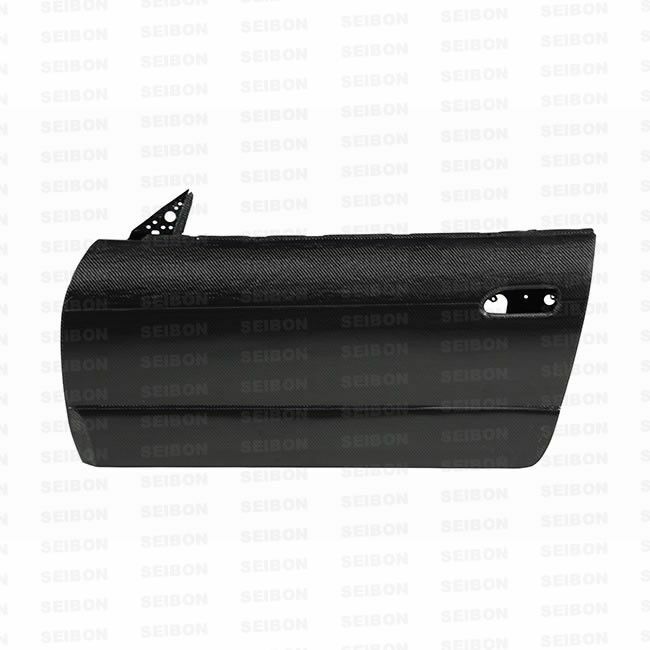 Look no further than our catalog of Nissan 240SX carbon fiber hoods. These hoods are significantly lighter than the heavy steel hood. It is not uncommon to save more than 15 pounds when swapping from a stock hood to a lightweight carbon fiber hood. Additionally you will be making a big style upgrade with your new carbon fiber hood. The glossy smooth finish of the carbon fiber cloth looks great on any vehicle body color. The 1989-1994 Nissan 240SX features a very prominent hood design that integrates the pop up headlight design of the S13 model. These carbon fiber hoods we offer make a bold styling statement in addition to shaving weight off the vehicle. Additionally these hoods also feature vented designs that allow for heat to escape the engine bay and for cool air to be allowed in. Nissan launched the S14 model 240SX in 1995 and then refreshed it again for the 1997-1998 model years. 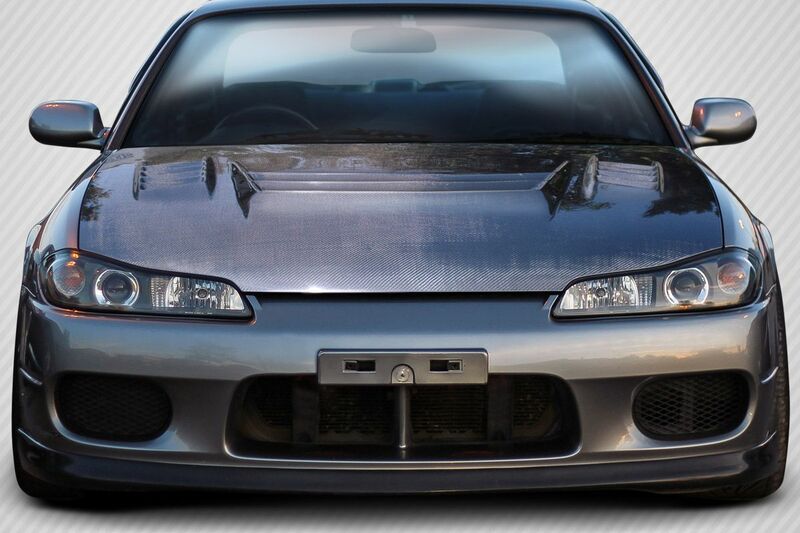 We offer S14 carbon fiber hoods for both models. Installing a carbon fiber hood on your S14 240SX really makes a significant improvement in styling as well as reduces weight over the heavy steel hood. Looking to modify or upgrade your 1989-1994 Nissan 240SX? You came to the right place. 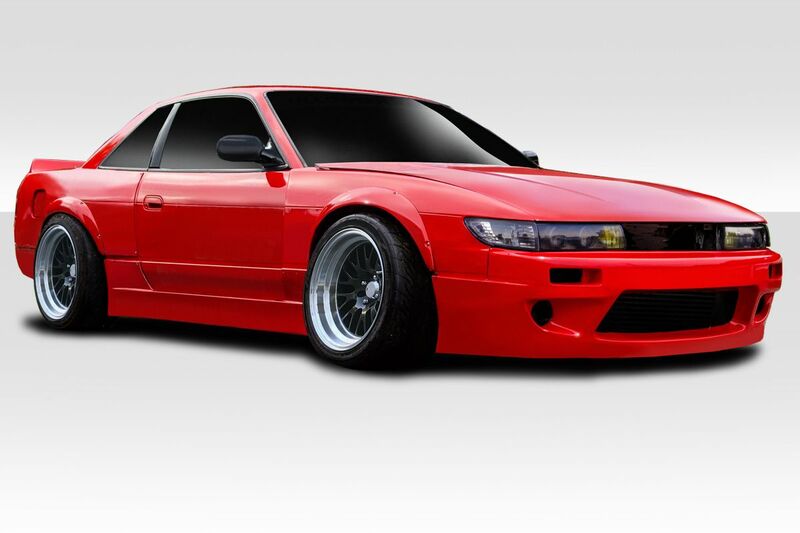 Our selection of Nissan 240SX S13 upgrades is quite large and we offer many of the top name brands in the industry. Additionally we offer very competitive pricing on Nissan 240SX upgrades and replacement parts. We invite you to browse the catalog below and see what we can do to bring the best out of your 240SX. In conclusion we have been selling 240SX parts since 2009 and have the experience and knowledge you can trust. In other words it is our goal to provide you with the best buying experience when shopping for 240SX S13 upgrades and accessories. One of the most popular products we carry at Driven By Style for the Nissan 240SX is our line of body kits and aerodynamics. The 240SX S13 is now 25 plus years old and many of these cars have seen better days. 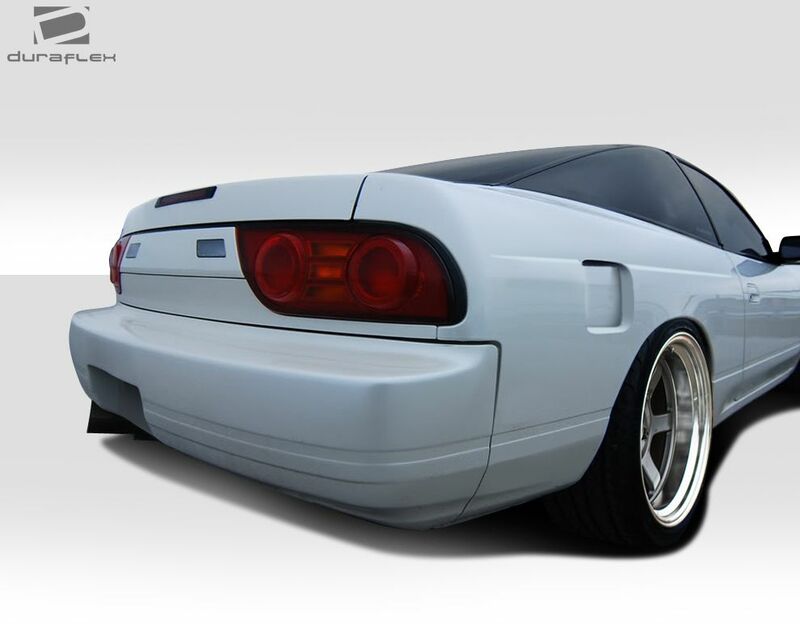 We offer a huge selection of aftermarket body styling parts that can transform the look of your S13 in a big way. 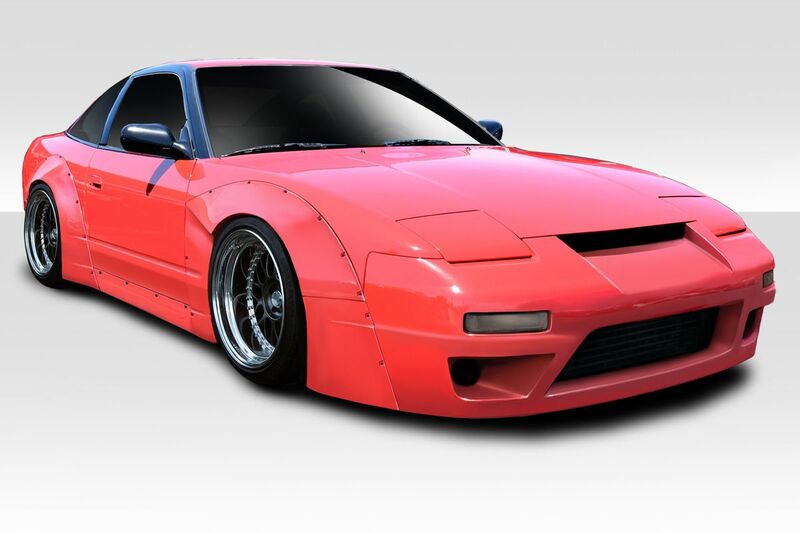 From full body kits to front and rear bumpers, side skirts, fenders, spoilers and more we carry it all for your S13. 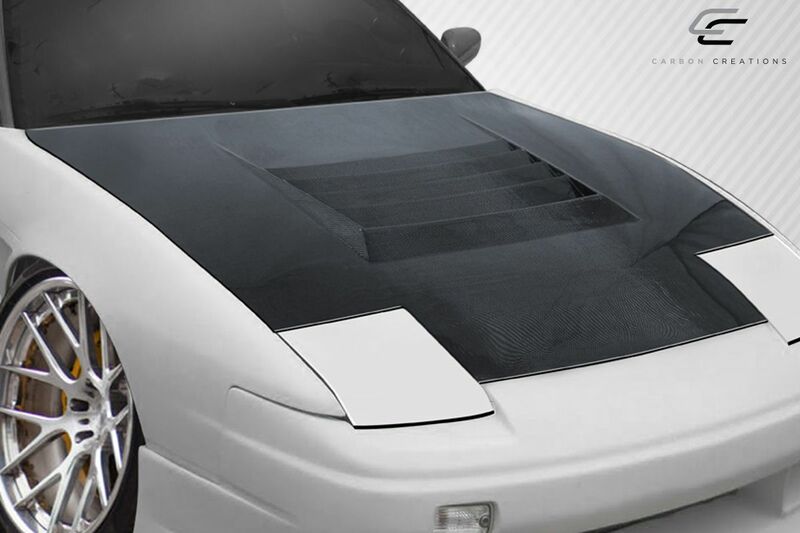 We also carry a full selection of carbon fiber hoods for the S13 240SX. When it comes to enjoying your S13 to the fullest nothing makes a bigger impact than how the car performs. Our catalog of performance parts for 240SX will allow it to perform better and also be the perfect place to shop for parts to replace tired and worn out parts that require upgrade. For instance we offer exhaust systems, cold air intakes, headers, clutch kits and much more. Nothing changes the driving experience more than the vehicle suspension. We carry a full line of S13 suspension parts to get your stance right and handling dialed in! For instance we carry a full selection of coilovers, lowering springs, control arms, toe arms, sway bars and more. Not only can we help you make that 240SX look better but we can make it handle incredibly well!